In the beginning of the dream I found myself walking near an ocean- a beautiful expansive and very familiar ocean. The water was so soft, inviting and sparkly. Up ahead I saw a pavilion. It was a very large pavilion, quite massive. As I came closer I saw one person near the closest corner, walking around some sort of large and low structure that was on the floor of the pavilion. This floor structure covered most of the floor, but I couldn’t quite tell what it was from where I was walking on the beach. As I got closer, I could see that the person on the pavilion was a woman and she was watching me and waiting for me to approach. When I got close enough to say hello I could see that it was my friend and teacher Dolores Cannon! I was very excited to see her. She looked like herself but younger and a bit thinner and more vibrant. She smiled as I walked up the steps. “Hello Candace I have something to show you today and I also have a message I want you to deliver.” She walked over to the edge of the structure on the floor and I followed her. She looked down and I did too and took in the details. The structure seemed to be made of wax or some sort of translucent material, it was perfectly geometric, and regular in form and scanning across the expanse I could see it was like a giant honeycomb, with open cells. 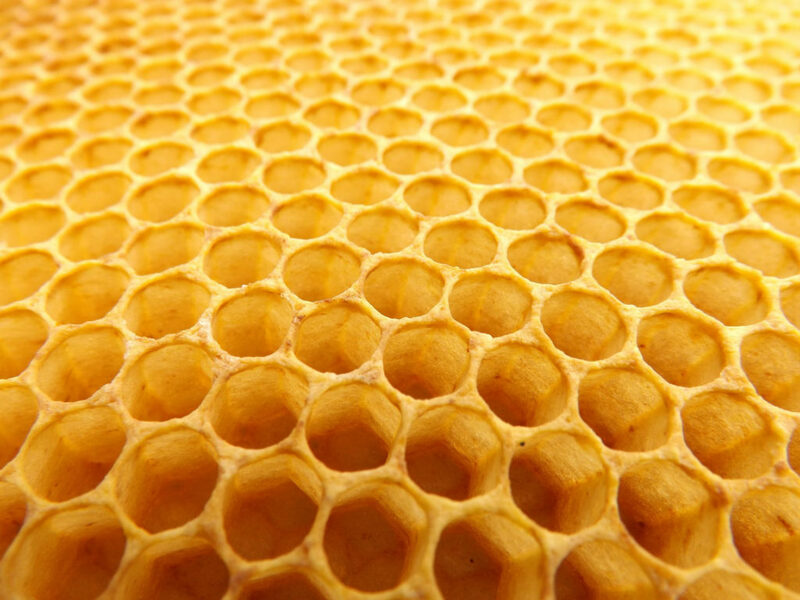 As I looked into the cells of the honeycomb they glowed and I could see light in patterns swirling and moving within each of them. The light pattern began with a six petaled flower, and it was a warm red color, but then that simple design became more complex much like a moving flower of life design. The light shifted and changed into more colors and then the whole floor began to move and morph sort of like a moving sculpture or hologram. The cells, and the light flowers were all moving in and out. All of the cells were connected to all of the light flowers which were connected to the whole and back again. “You brought me here?” I asked. “Okay so can you tell me about the differences in the individual cells’ light?” I asked. We walked closer and looked down at two of the cells nearest to our feet. Each cell was quite large, and pretty deep, and seemingly went under the floor of the pavilion. Each cell was large enough for a person to stand upright within it. The two cells we were focusing on were different in light and movement. The one on the left was lush, vibrant, fluid and moving with ease and grace. The one on the right was not as filled with light and it seems slower and “rusty” or something. It didn’t move quite as well. Then Dolores turned around and from somewhere behind her had a large crystal clear bucket of water with a big ladle in it. She scooped out some of the water and said, “Watch!” as she poured the water into the cell on the right. Immediately, the cell became brighter and the movements more fluid. She added more water and the cell again became more “alive.” I also then was aware of how the individual patterns of light from that cell immediately moved across the whole structure. Very much like the flower of life pattern. I laughed, knowing I was in a dream and not in Kansas. There certainly are no oceans in the state in which I live. I found myself overcome with joy as memories of the ancient body of water, and the prairie and past lives and current experiences with the land all combined into a beautiful symphony of vibration and light that echoed and repeated the patterns on the pavilion floor. “Use that energy, and that imagery to create your meditations,” Emoto chimed in with a big smile. When I awoke from my dream I immediately went to my computer and looked up the name Sanja for its origin and meaning. Here is what I found: Sanja – Derived from Croatian and Serbian sanjati meaning “dream”. 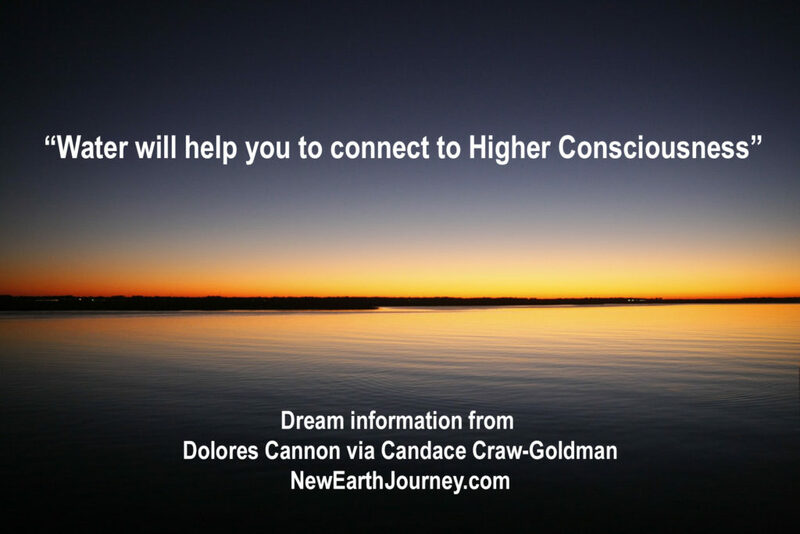 This entry was posted in Dolores Cannon, Dreams, Emoto and Water, Energy Healing, Health, Life After Death, Messages and tagged Dolores Cannon, Emoto, Healing, healing hypnosis, QHHT. Bookmark the permalink.